Birth Photography, in my opinion, is much different than any other kind of photography. It is joyful, filled with emotion, raw, and intimate. Because birth is such a private event for most families, there isn't a real opportunity to 'second shoot' or shadow another photographer to see how they do it, so most photographers who work outside of the birth industry ask me "how did you build your portfolio?" I have to first recognize that my way is not the only way, or even the best way to build your portfolio. 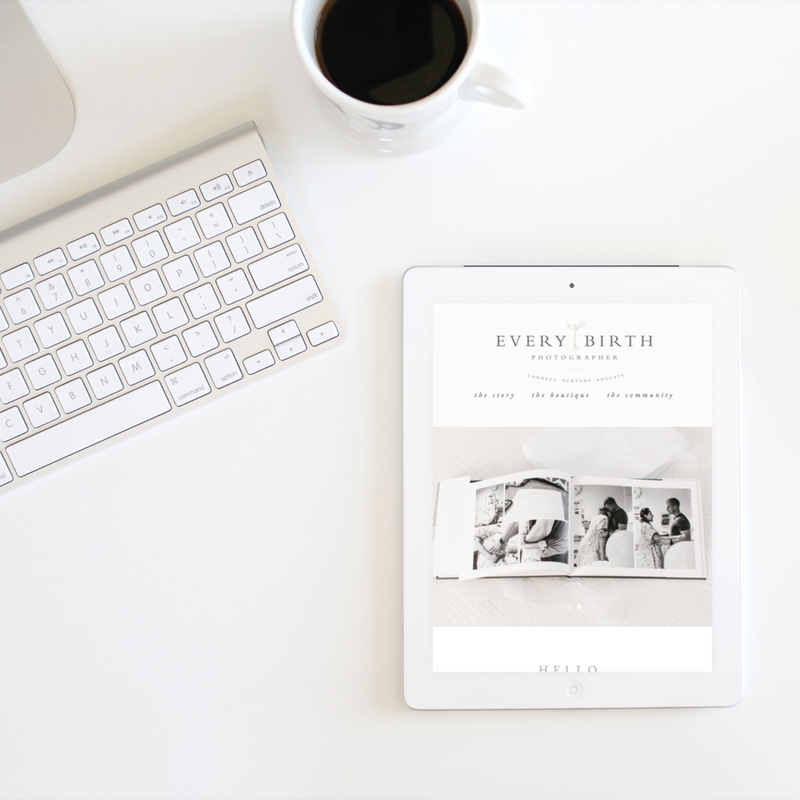 Every photographer is different, every market is different and some birth photographers out there may have a differing opinion on how to build your birth portfolio, but what I am sharing today is how I built my birth portfolio. I had to do what worked best for me, my family and for the families I worked with to gain this experience. If you haven't already read my story of the first birth I shot, thats the best place to start as it provides the foundation for my portfolio building. After my first birth, when I realized how in love I was with capturing it, I knew I needed to gain more experience before I could realistically start offering birth photography to paying clients. This meant that I needed to shoot 3 births for free. While this may not be realistic for everyone, it was what I felt was best in order to be able to really gauge what it takes to shoot a birth. From client meetings, to being on call, waking up in the middle of the night to check your phone, traveling to the hospital/birthing center, attending the birth, shooting the birth, editing the images, backing them up, delivering sneak peeks and galleries to clients etc. This was also the only way I felt confident in giving myself the artistic freedom to capture the birth as it unfolded without the pressure of working for a paying client. Once I decided that I was going to shoot 3 births for free to start my portfolio, I had to find those clients willing to let me enter their birthing space and capture their birth. I started to reach out to friends and acquaintances that I knew were pregnant. I was very open about trying to gain experience and while I did not blast on every social media account that I had that I would be working for free, I made it very clear to the public of my intentions to gain more experience shooting births. When I had two more portfolio building births booked, I sat down with my business plan and recalculated my cost of doing business (something I had learned from Rachel Brenke's BizRevamp class) and came up with a figure that I would need to charge to shoot a birth for a paying client. My goal was to calculate that number, and then offer inquiring clients a discounted rate for birth photography, slowly increasing rates with each birth I shot! I should also note, that it was important for me to have well rounded portfolio so finding clients who were having a scheduled C-section, a birthing center birth or a home birth were also important to me and I offered special rates to those clients in order to gain a variety of experiences. This might be one of those really obvious points, but I'm going to make it anyway! Utilize social media to market yourself, and share your favorite images. Be open about your love for birth photography, tell your friends, and have them tell their friends! Social Media is so powerful, and it helped me find my portfolio building clients! Portfolio building was such a fun adventure for me, and I would love to hear how you built your portfolio, feel free to share your stories in the comments!